Congressional Democrats have formally taken the first step to overturn the Federal Communications Commission's (FCC) rollback of net neutrality. Lawmakers in the House and Senate have introduced a resolution of disapproval to negate the FCC order, which was published last week in the Federal Register. Sen. Edward Markey (D-Mass.) introduced the Senate version, which would restore the Obama Administration's FCC Open Internet Order prohibiting internet service providers from blocking, slowing down, or discriminating against content online. “President Trump and FCC Chairman Ajit Pai might want to end the internet as we know it, but we won’t agonize, we will organize,” Markey said. “I urge my Republican colleagues to join the overwhelming majority of Americans who support a free and open internet." Senate Democrats will need at least one more Republican vote. Sen. Susan Collins (R-Me.) has said she will support Markey's resolution, but Democrats will need 51 votes to prevail. The task may be harder in the House. So far, supporters of the resolution of disapproval say they have 150 votes. They need 213 to prevail. “Today millions of Net Neutrality supporters from across the country are putting lawmakers on notice: You have to choose whether you side with big phone and cable lobbyists or with the majority of people in the United States — both Republicans and Democrats — who want to restore Net Neutrality protections," said Sandra Fulton, government relations director at the Free Press Action Fund. Fulton called the FCC's reversal of net neutrality "a radical rewiring of the internet" that hands control of the network to a few powerful internet service providers. 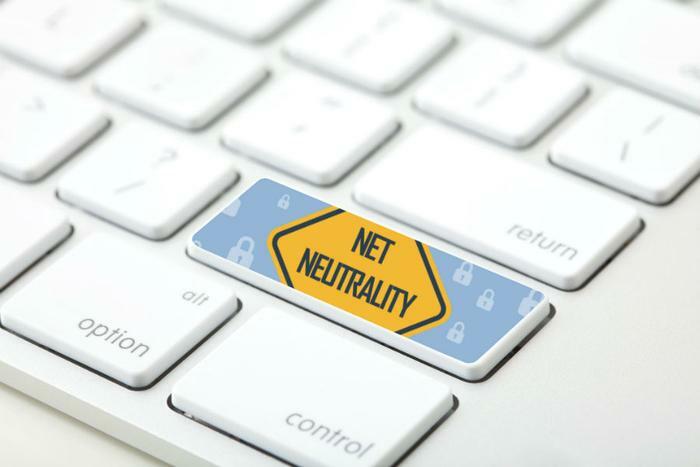 "The FCC repeal blatantly ignored the fact that the 2015 rules were working for everyone, as broadband investment and deployment continued under the Title II-based protections the Pai FCC struck down," Fulton said. A Congressional resolution of disapproval would be the fastest way to restore the principal of net neutrality, but the clock is ticking. The measure would have to pass both houses of Congress within 60 days of the Order being published in the Federal Register. Backers of net neutrality are also using the courts in an effort to restore the rule through a series of lawsuits against the FCC. On February 22, 23 state attorneys general filed suit, calling the net neutrality rollback illegal.